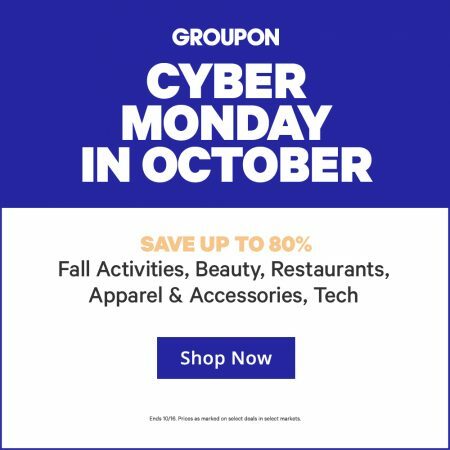 Groupon.com is having a Cyber Monday in October Sale. Save up to 80% off Fall Activities, Dining, Massages, Beauty, Doorbusters, Apparel, More! Prices as marked. No promo code requires. Valid on select deals and in select cities. The sale is available for 2-days only from Monday, October 15th to Tuesday, October 16, 2018. Click here to shop Groupon’s Cyber Monday in October Sale.